Treatment of major depression; it is effective in preventing the relapse of depressive symptoms. Treatment of obsessive compulsive disorder (OCD) ; It is effective in preventing relapse of OCD. Treatment of panic disorder and prevention of relapse of panic disorder. Treatment of social anxiety disorder/social phobia. 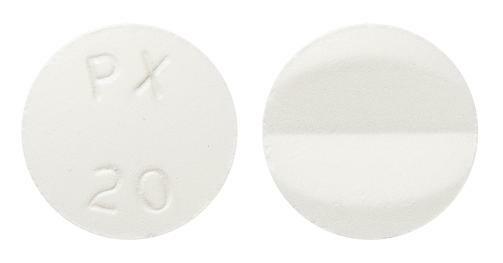 White, round bi-sected film-coated tablet with a one-sided breaking notch ("Snap-tab") and embossment 'PX 20' on opposite side, intact surface.